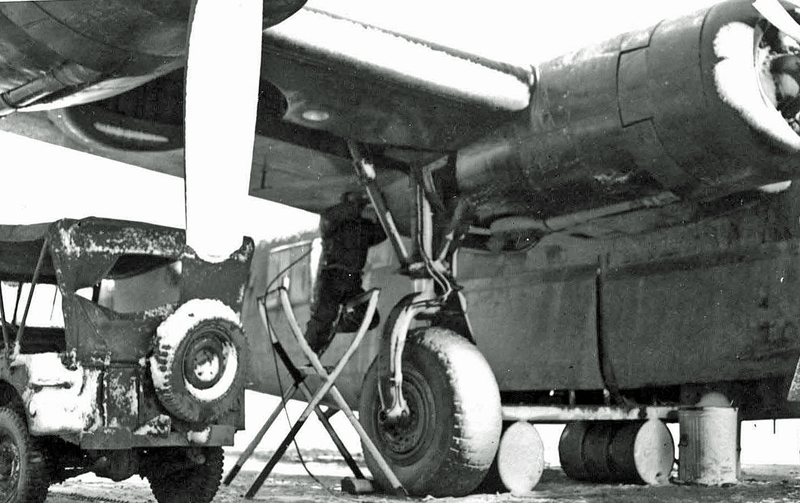 Maintenance of a B-24 sprayed with snow. Brindisi, Italy. Winter 1944-45.